A short time ago, we introduced the new Contact Us App. 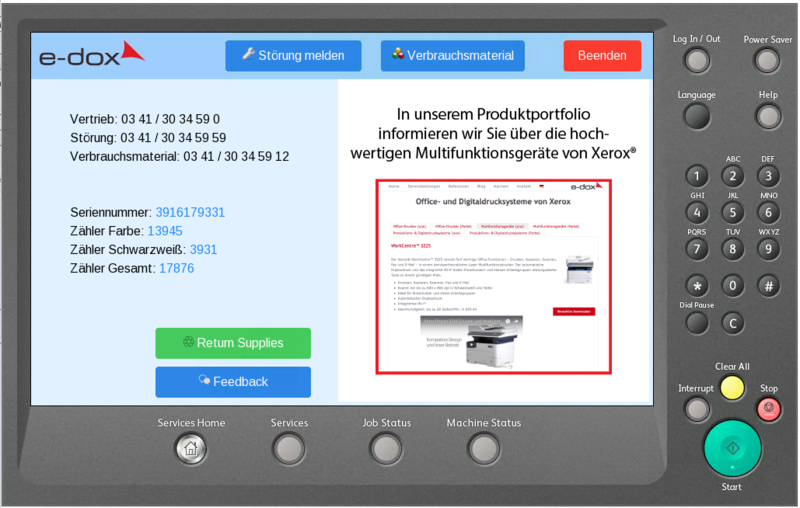 This new feature offers many advantages for Xerox end customers in the everyday use with their multifunctional printers and guarantees rapid access to important information like serial number, counters, and important telephone numbers of Xerox contact persons. How does the Contact Us App work? 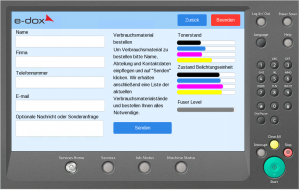 There are several functions integrated enabling a streamlined use of multifunctional devices. Your end customers are able to report trouble tickets directly to you, if something does not work correctly. Furthermore, they can order supplies like toner at anytime or return them, if there are too many on stock. 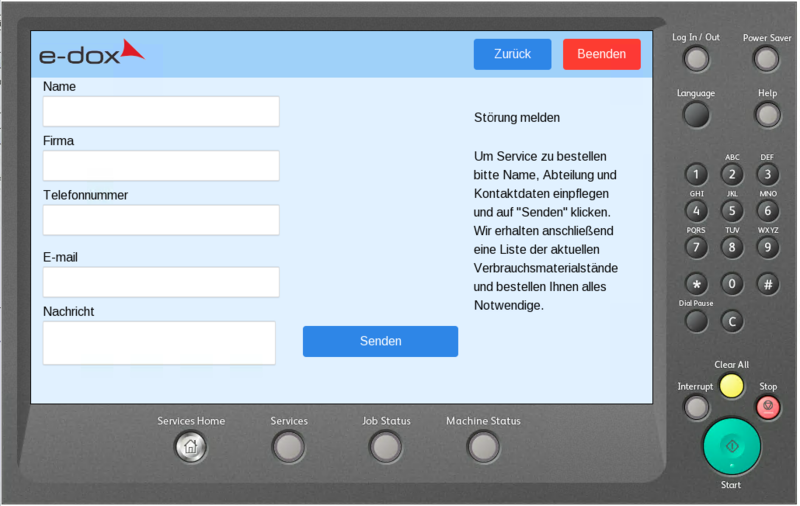 The contact data of YOU the Xerox partner is integrated within the app, so that messages and feedback will be forwarded to you and your people can respond properly to your customer. 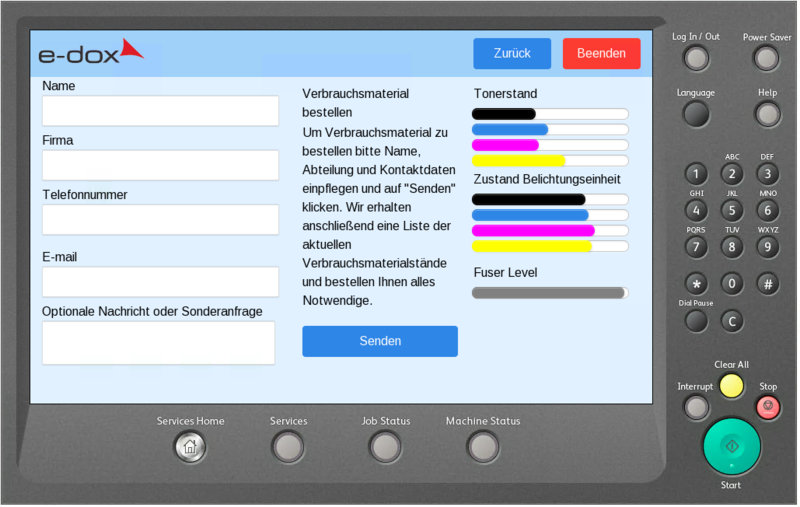 Über die Contact Us App können Störungen am Gerät direkt an den Xerox Handelspartner übermittelt werden. Unter den Punkt “Verbrauchsmaterial” können Toner- und weitere Verbrauchsmaterialstände eingesehen sowie Nachbestellungen aufgegeben werden. 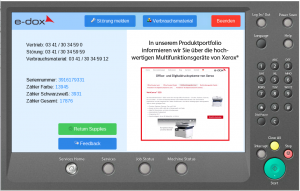 If you as a Xerox partner would like to offer the Contact Us App for your end customers, please contact us and we help you to get your own contact us App. This entry was tagged Apps für Multifunktionsgeräte, Contact Us App. Bookmark the permalink.